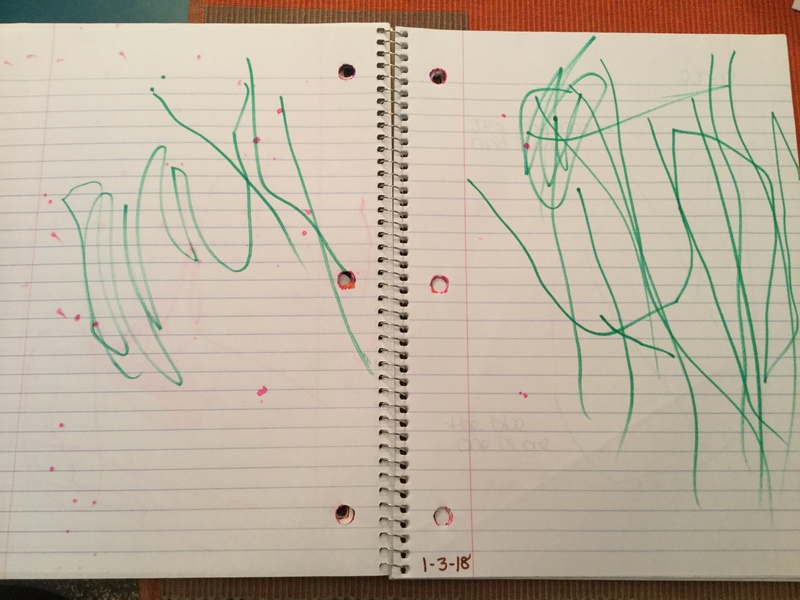 When Spartacus left his 3-year-old preschool classroom to move to the fours, he was gifted with his “journal,” the notebook that all the kids “wrote” in at the writing station all year. 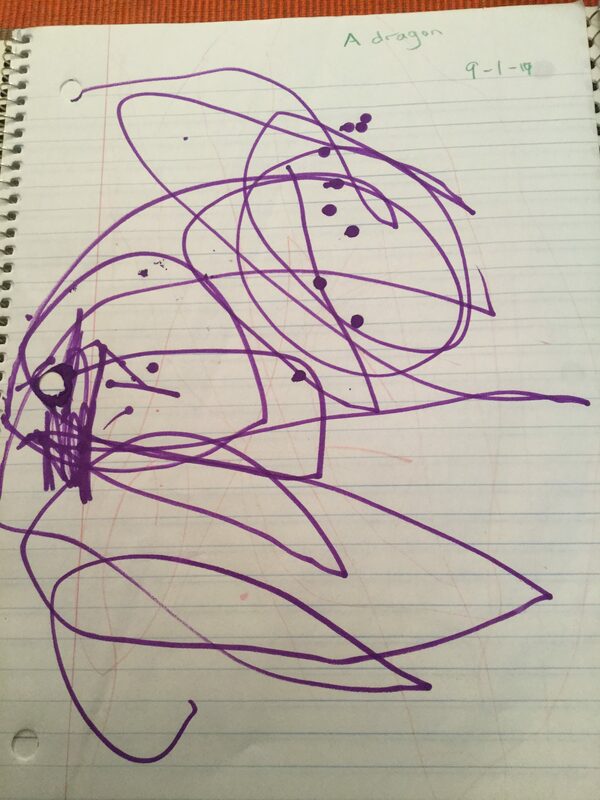 One of my kid’s godparents is finishing her Ph.D in psychology, and she is fascinated to follow my children’s development. 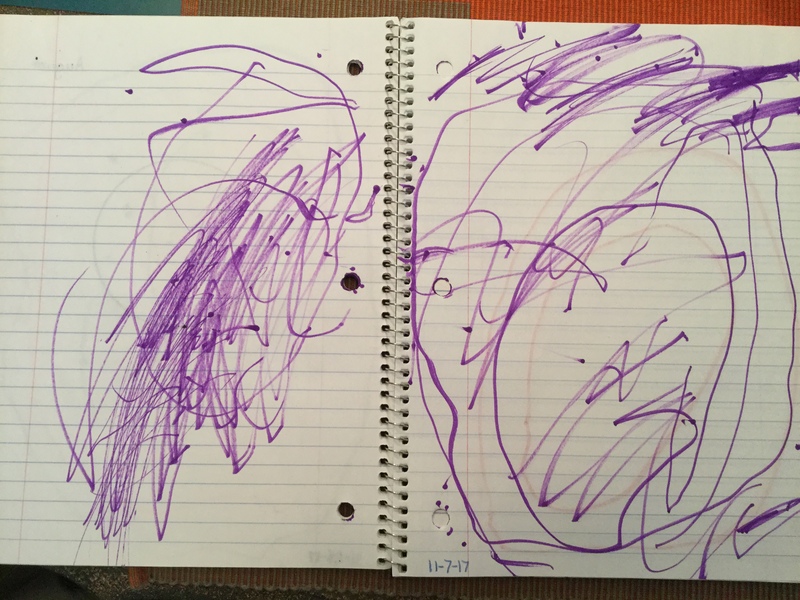 As I flipped through his “art” in this notebook, I knew she could draw grand conclusions from the inner workings of his brain. 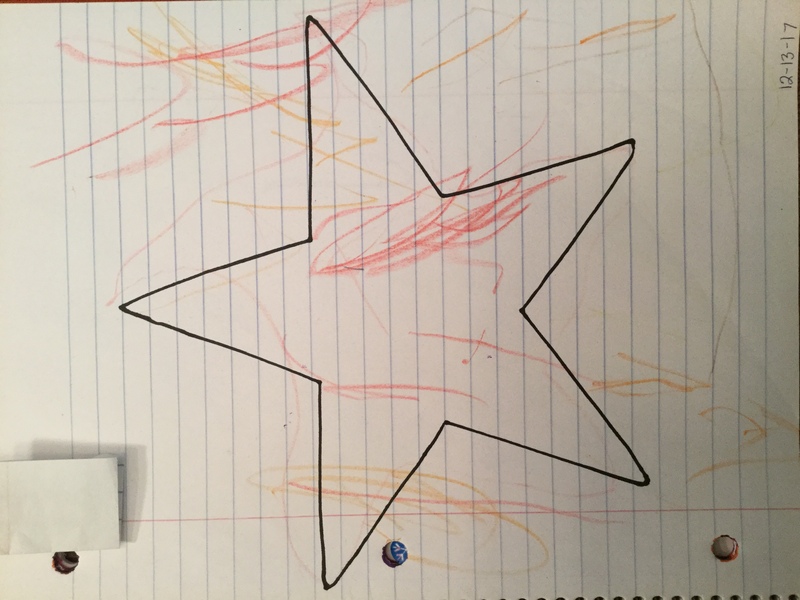 I’m pretty convinced he just hates coloring, but sometimes he can get creative. I now invite you to peruse our digital gallery. All pieces are for sale and prices begin at the incredible value of $200, with proceeds to benefits Sparty’s college scholarship fund to send him to art school. 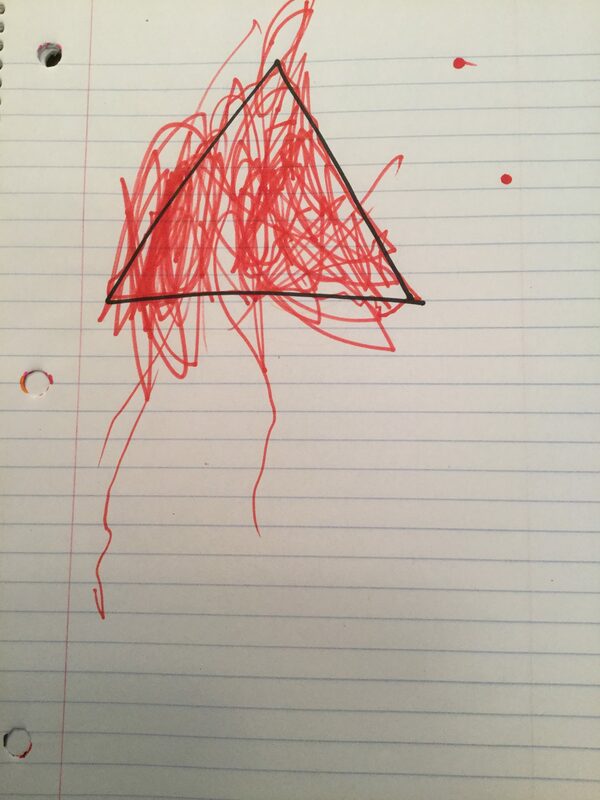 “a dragon.” Crayola on paper. 1 Sept 2017. 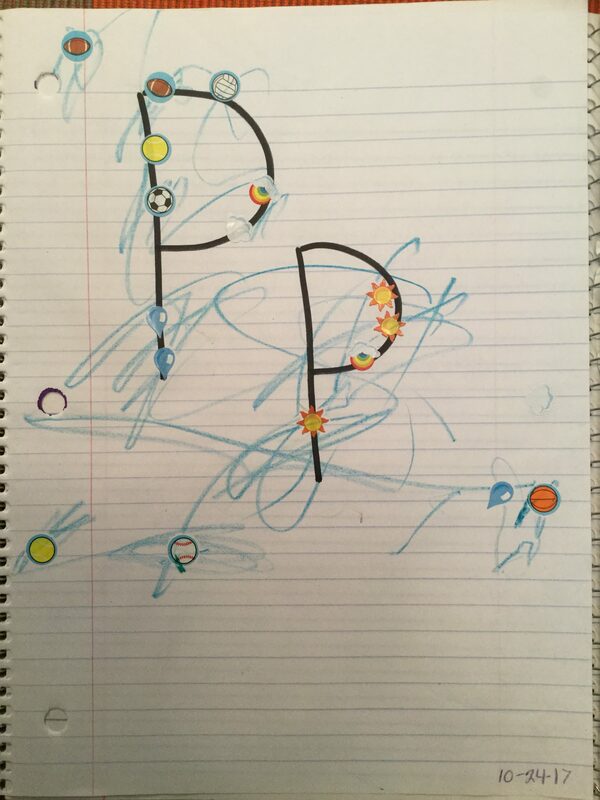 “raindrops and dragons.” Crayola on paper. 5 Sept. 2017. 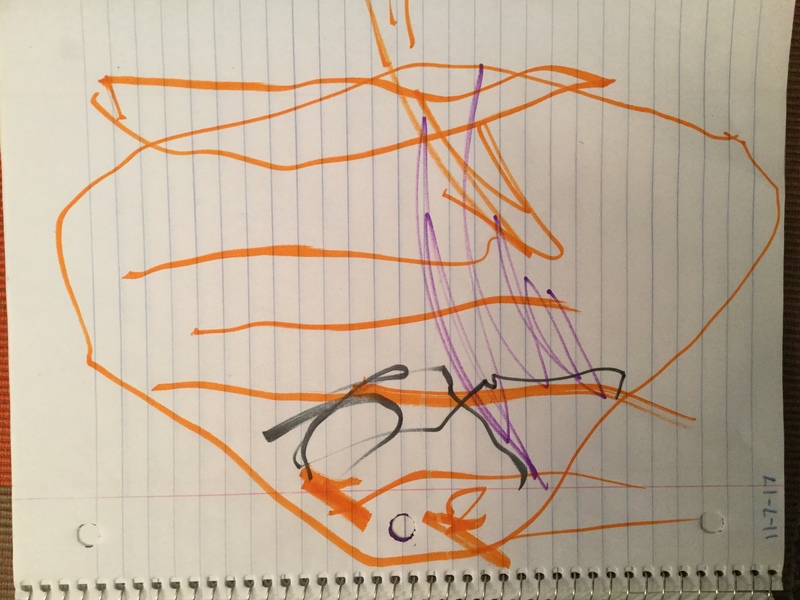 “This is a giraffe at the zoo and a monkey.” Crayon on paper. 26 Sept. 2017. 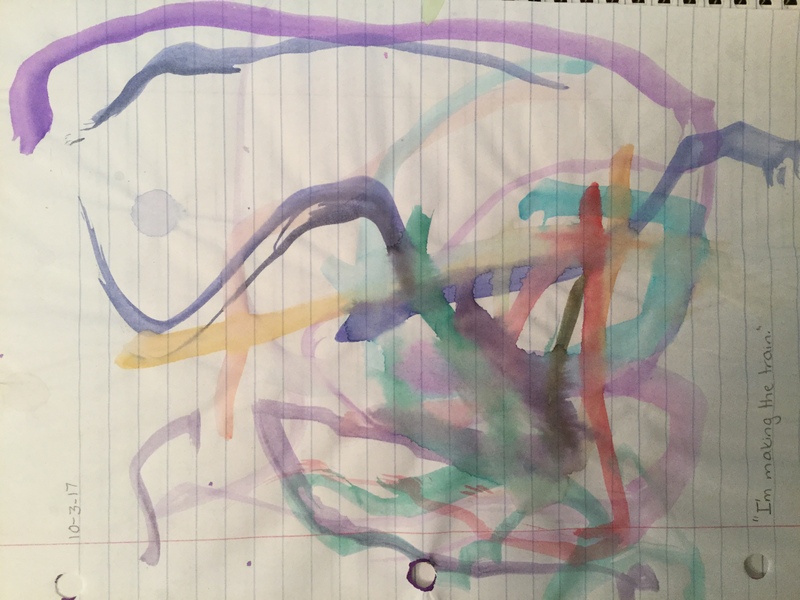 “I’m making a train.” Watercolor on paper. 3 Oct. 2017. 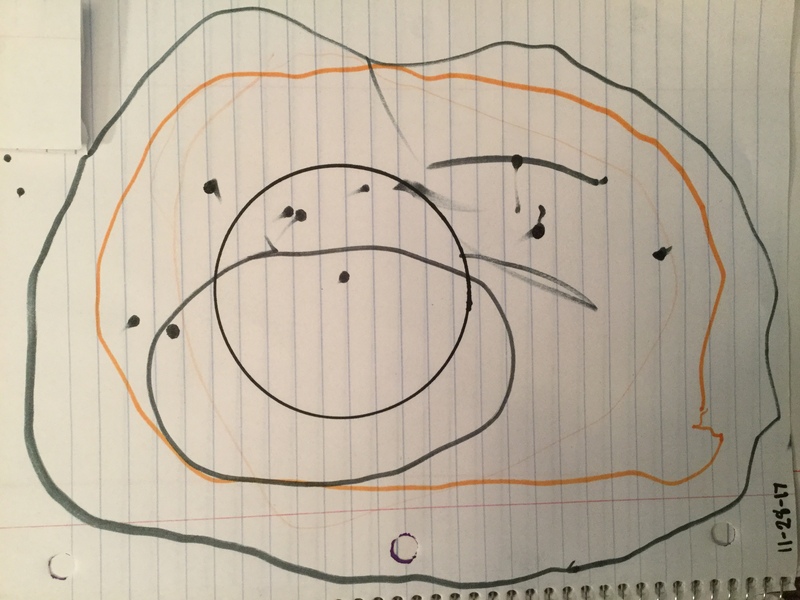 “I made a baseball field. 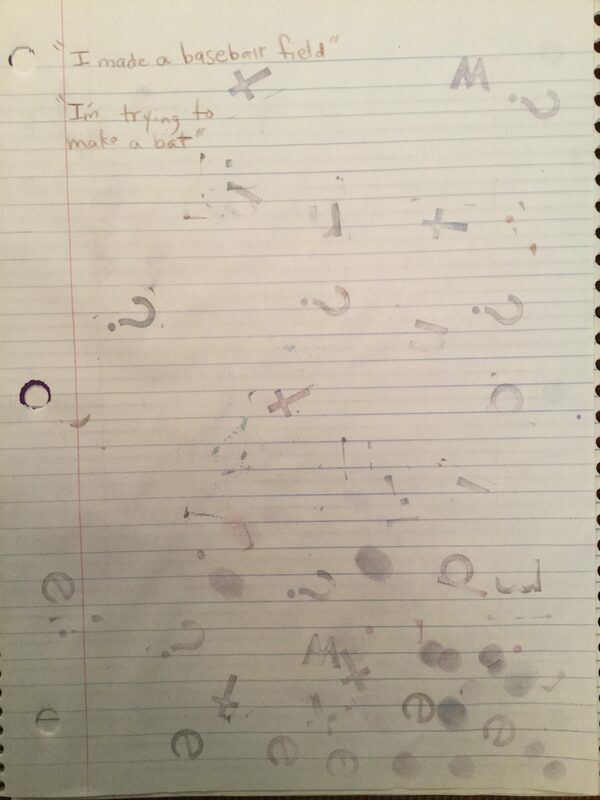 I’m trying to make a bat.” Ink stamp on paper. 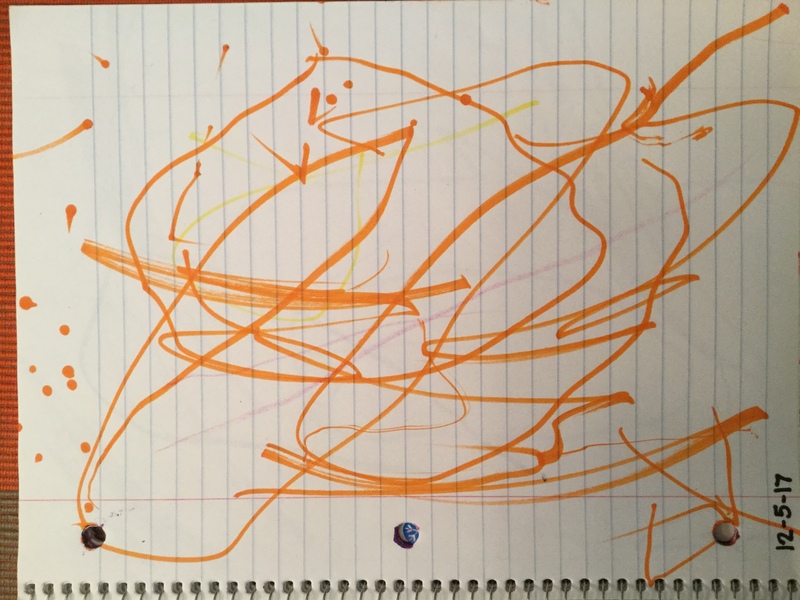 Oct. 2017..
“untitled.” Crayola on paper. 7 Nov. 2017. 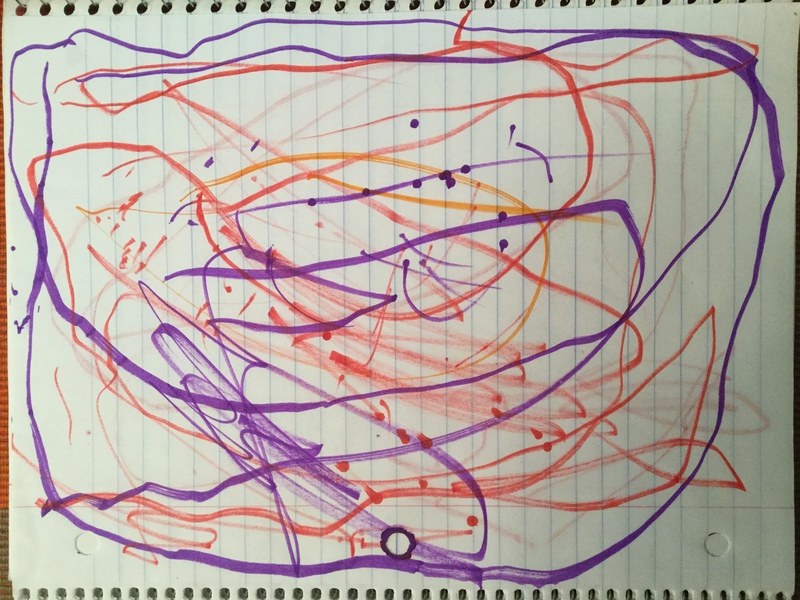 “untitled.” Crayola on paper. 28 Nov. 2017. 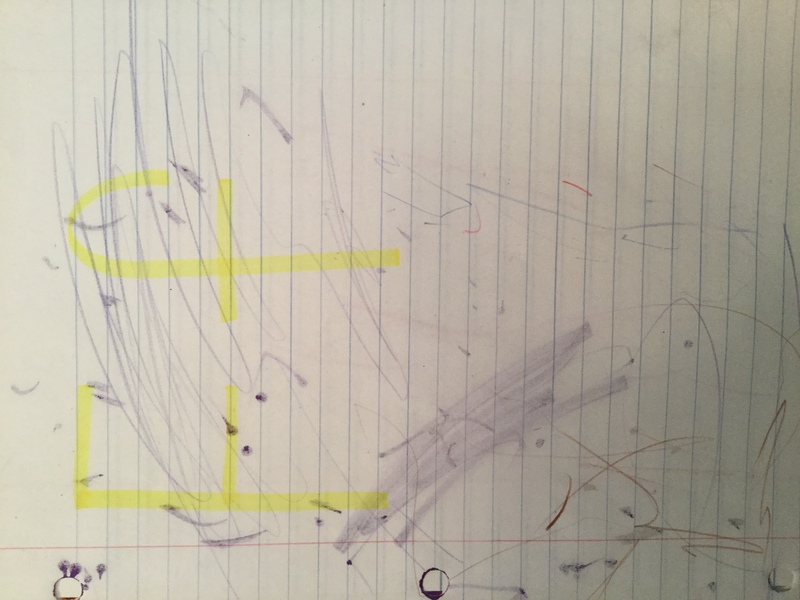 “Ff.” Colored pencil on paper. Undated. 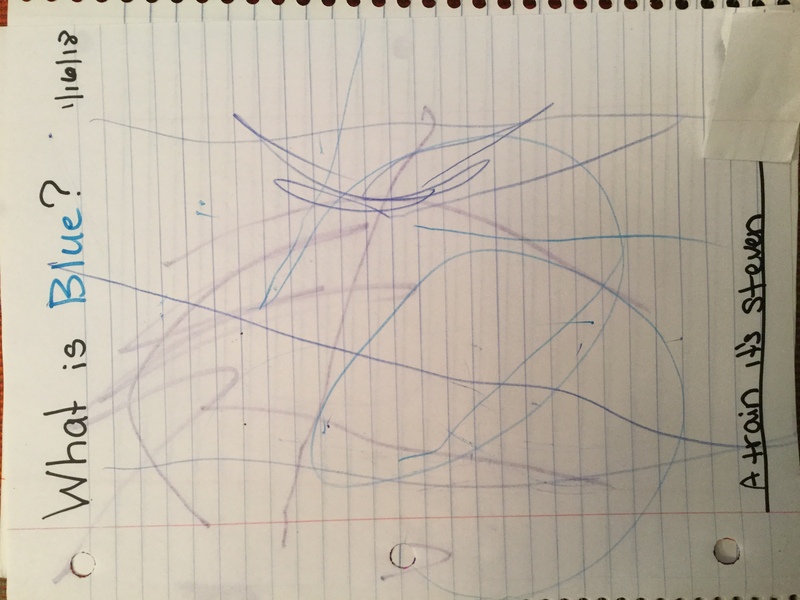 “untitled.” Crayola on paper. 5 Dec. 2017. “Star.” Mixed media on paper. 13 Dec. 2017. 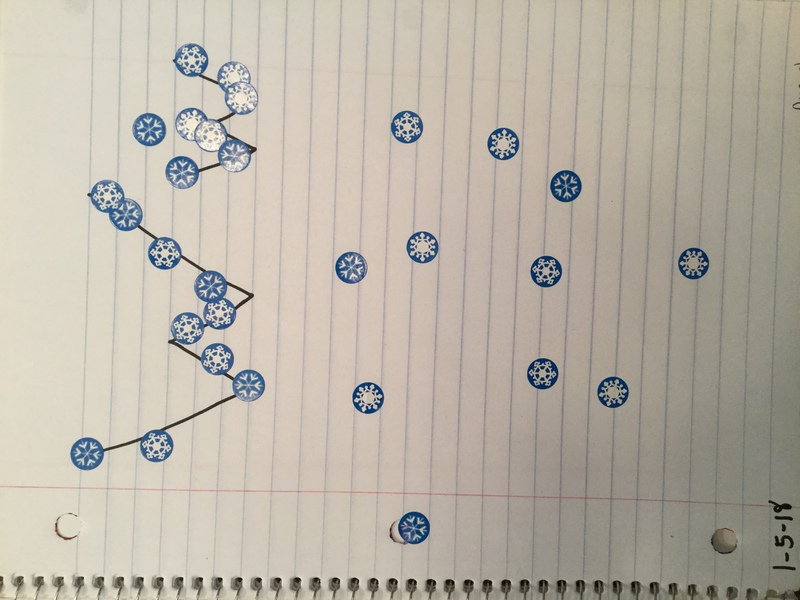 “Ww.” Mixed media on paper. 5 Jan. 2018. 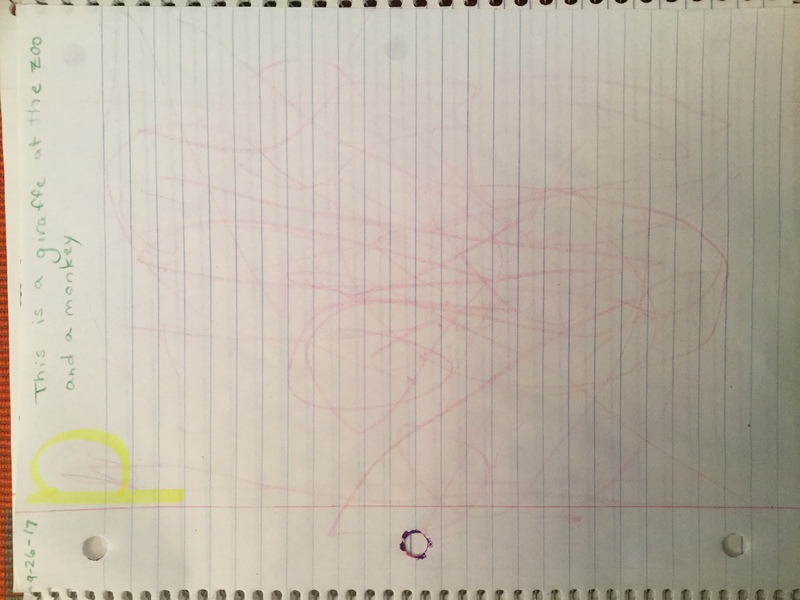 “Practicing the letter A.” Crayola on paper. 3 Jan. 2018. 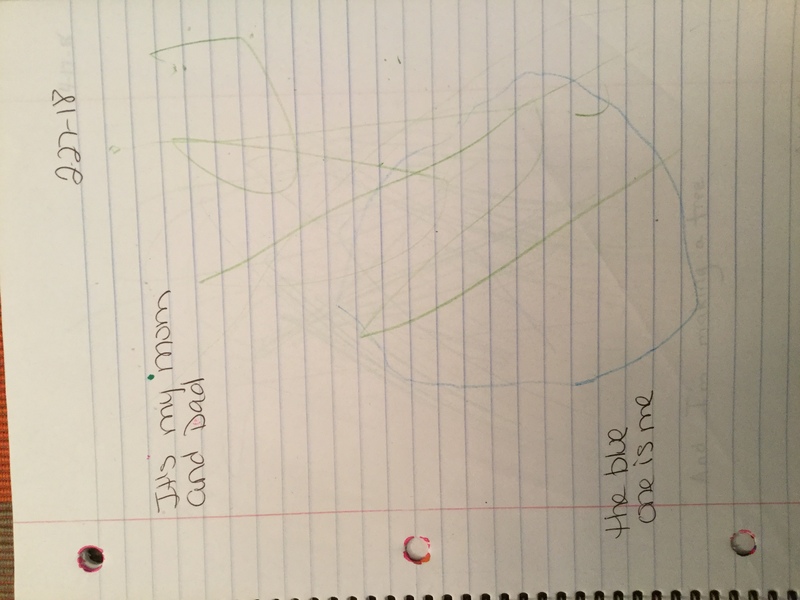 “What is Blue? 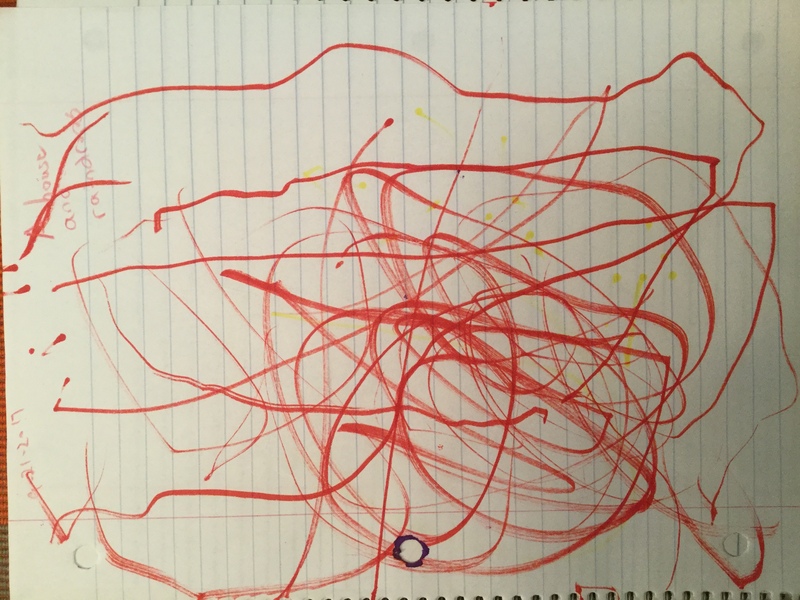 A train it’s steven.” Mixed media on paper. 16 Jan. 2018. 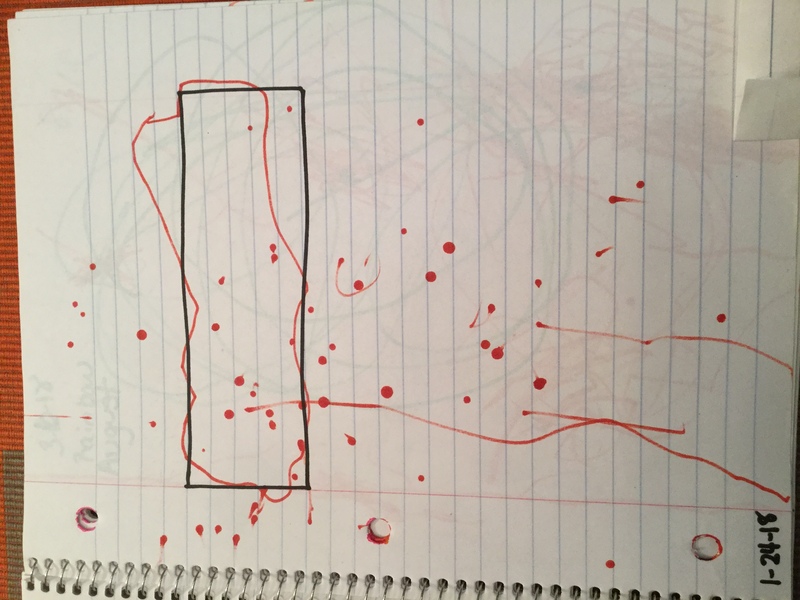 “rectangle.” Crayola on paper. Undated. 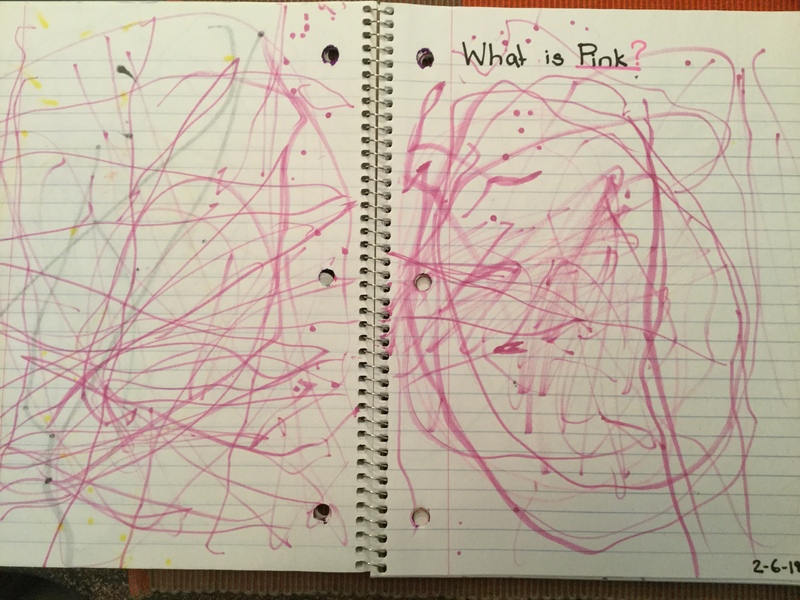 “What is Pink?” Crayola on paper. 6 Feb. 2018. 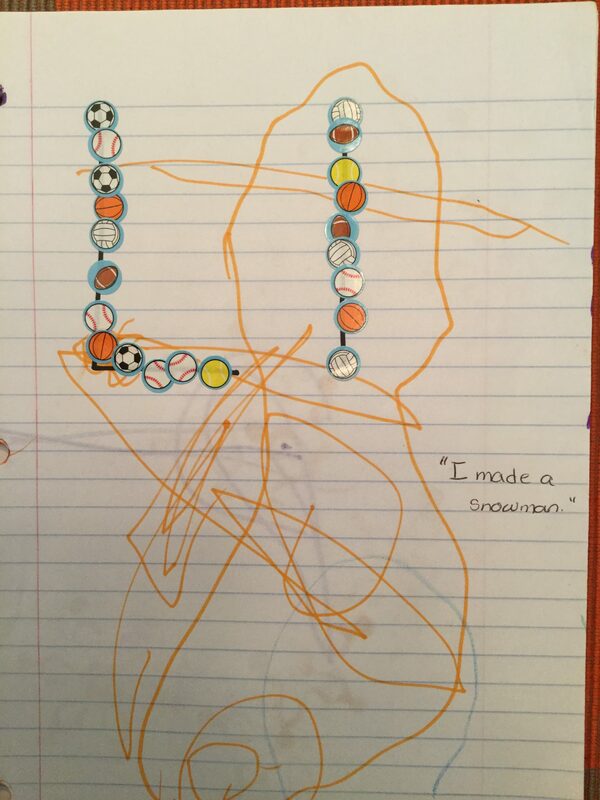 “LL: I made a snowman.” Mixed media on paper. Undated. “It’s my mom and Dad. 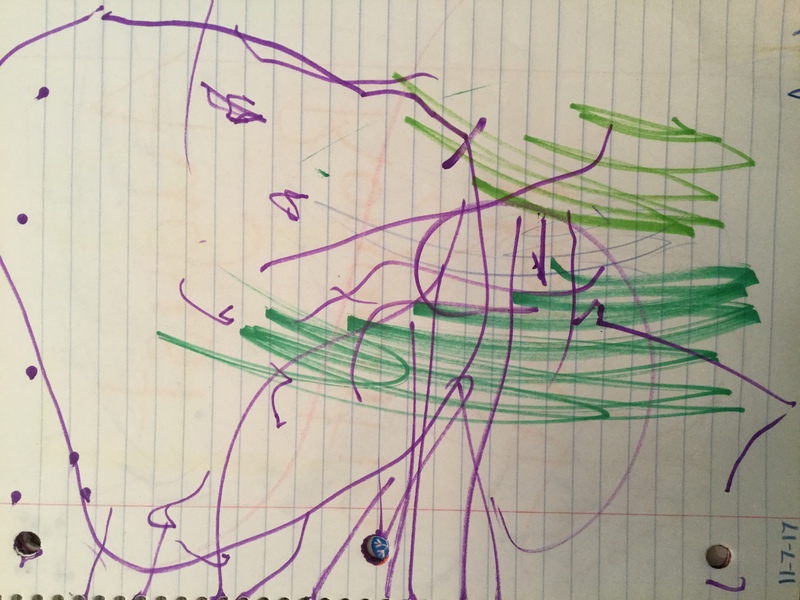 The blue one is me.” Crayon on paper. 27 Feb. 2018. 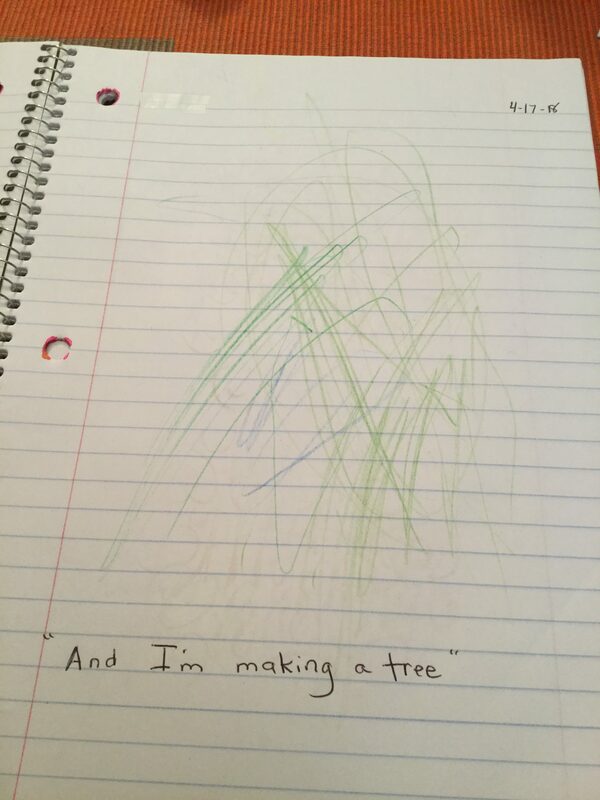 “And I’m making a tree.” Crayon on paper. 17 Apr. 2018. 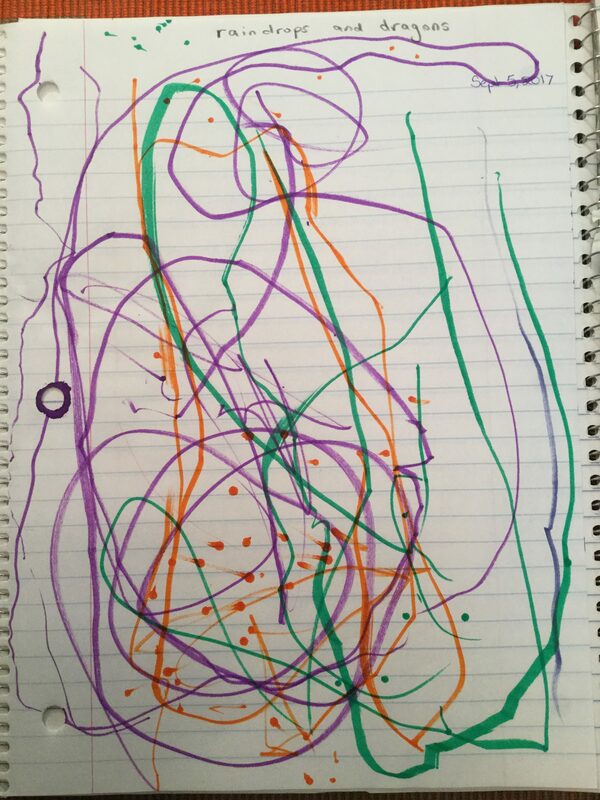 “untitled.” Crayola on paper. Undated. 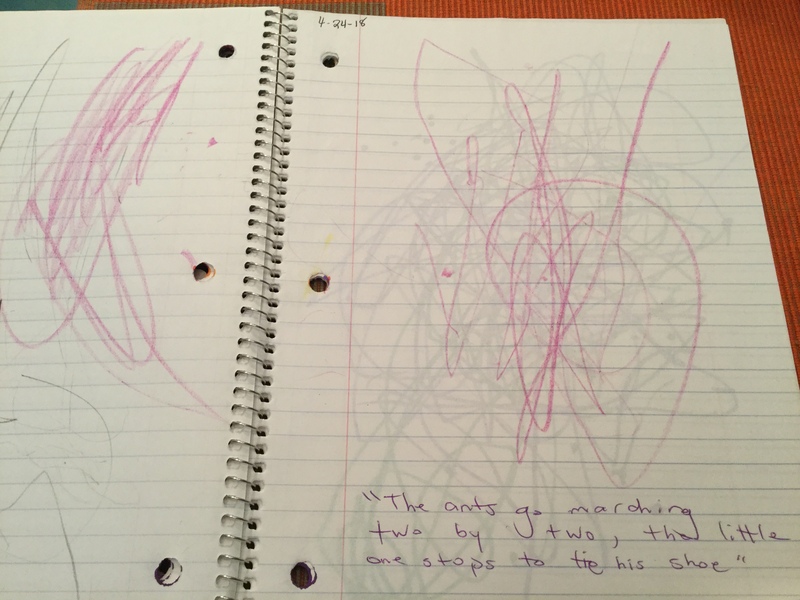 “The ants go marching two by two.” Crayola on paper. 24 Apr. 2018. 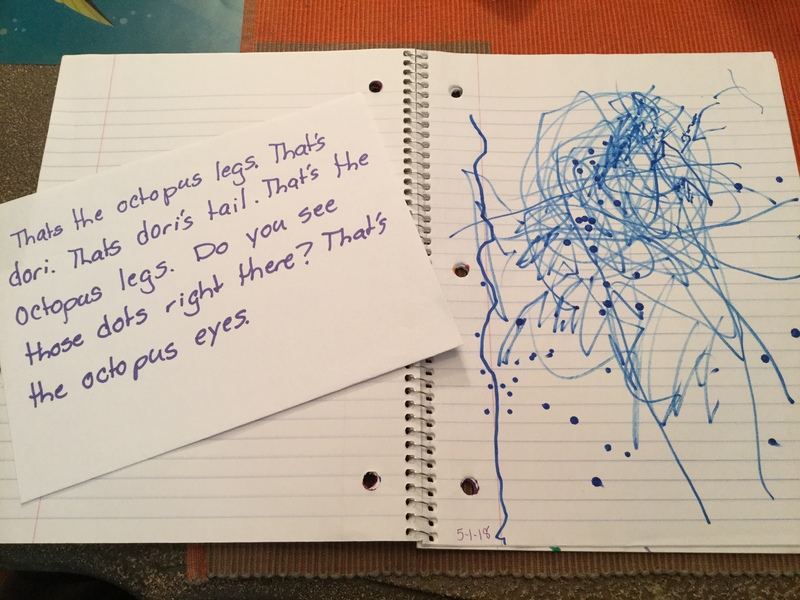 “Finding Dory.” Cryola on paper. 1 May 2018.